The latest iteration that 18,000 email accounts belonging to high ranking Italian mucky mucks were hacked reveals how the world really works. 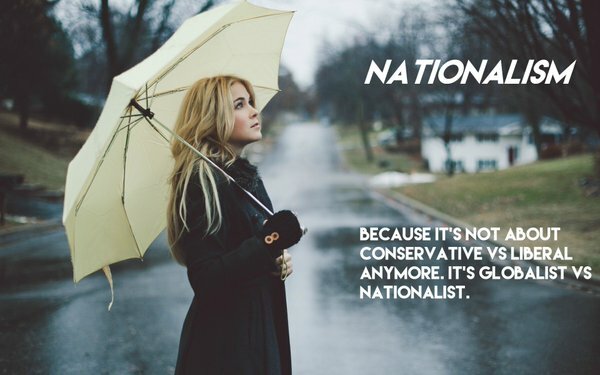 Regular readers of The New Nationalist (TNN) are probably not surprised to learn that the mastermind behind the hacking scheme is a high ranking Italian Freemason and finance operative, one Giulio Occhionero. TNN’s readers would also not be surprised that the customized malware is aptly named the “Eye Pyramid,” a reference to the all-seeing eye of God. Of course, this Masonic eye symbol also happens to grace every U.S. dollar bill. Interestingly, all but one of the servers Occhionero and his cohort allegedly used in the hacking scheme were located within the United States including one, curiously enough, in Utah. Let’s take a look at who was hacked. First and foremost is ECB kingpin Mario Draghi. In addition, we have former Italian prime ministers Matteo Renzi and Mario Monti. Monti, an economist, wrestled with Italy’s financial crisis as premier from 2011 to 2013. Vatican emails accounts were also penetrated, including those of seven cardinals. And add to the list Fabrizio Saccomanni, a former Italian economy minister who served as a top official at Italy’s central bank. Italian oil giant Eni SpA, was also hacked, as well as Italian politicians from across the political spectrum. In all, the hackers allegedly obtained some 18,000 usernames and nearly 1,800 passwords. They used sophisticated and complex malware and were able to access their victims’ networks for long periods of time, remotely harvesting emails, communications and other documents from targeted computers. Is this a backstory for something even bigger? TNN smells a larger backstory here. Among the more creatively named folders of the hackers, was one labeled “Bros” that included fellow Freemasons. The court document said that the alleged hackers acted “with the aim of making a profit for themselves and for others.” It doesn’t require deep critical thinking skills to see that these “brothers” are accomplices who are on the receiving end of insider, private tips and information. This illustrates a central component of the Crime Syndicate hidden in plain view system, the all-seeing eye spying for the purpose of schemes, manipulations and the front running of financial developments. The giveaway that this is a limited hangout operation will be that the “brothers” are never revealed and the investigation will end at Occhionero, who will serve a little country club time and be set for life for his services. But there is also a “good cop/bad cop” Luciferian psychopathy at work here. Consider that mucky mucks like Janet Yellen and Mario Draghi regularly and routinely leak insider information to their criminal cronies. But Mario can’t just pick up the phone to do so. Therefore, this “Eye Pyramid” scheme serves as plausible denial and cover for those deliberate leaks. Builds on the cyber-security narrative of more controls needed. I’m just amazed after all this they can advocate a cashless society with a straight face. Hacking? Why, here in the US we just create a government body called the SEC and force people to turn over their insider trading information to the higher ups to redistribute. And when that doesn’t work , they’ll quantative ease and bailout .its pretty easy to see , no wonder state education is mandatory ish . I get goosebumps on this one. Hacked emails, heads of state and huge financial institutions, and of course…. a secret society of Freemasons. Talk about a story hitting on all 8 cylinders! This one’s got it all, baby.